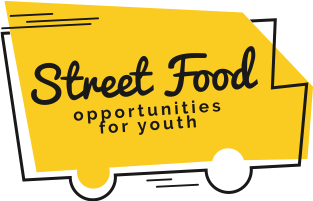 SFOFY is designed to enable young people to develop entrepreneurial skills through exploring the business opportunities presented by street food, one of the fastest growing areas within the food sector. Today’s street food stall owners tend to be young and although they are brimming in innovative food business ideas, branding and digital marketing, they are often self-taught and lack formal enterprise education. Street food relies strongly on new ways of doing business which young people are comfortable with – total mobility, high levels of innovation, quality produce and dominance of social media marketing. All these factors mean that young people are attracted to opportunities within the dynamic sector that can increase youth employment opportunities – central to the EU’s employment policy, Europe 2020. Entrepreneurship is widely recognized as a means to combat youth unemployment and social exclusion and thanks to the Entrepreneurship Action Plan more young people now gain access to entrepreneurial experience before leaving school or university. capitalise’s increasing customer demand for international, cultural diverse specialitie’s opens up business opportunities for young entrepreneurs including migrant communities. Exploring Enterprise – Now Recruiting!